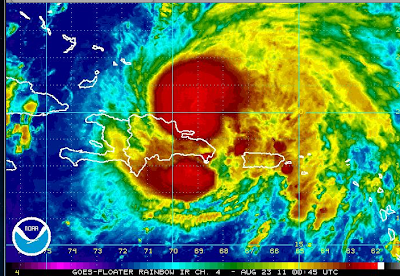 Irene is now a Category 2 hurricane north of the Dominican Republic. 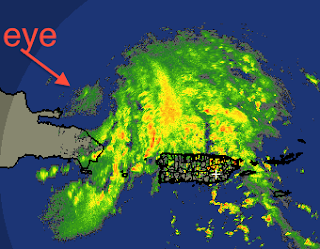 It should continue to strengthen and continue to move WNW. During the last hour, the satellite appearance has become quite impressive for a Cat 2 storm. The storm will continue to strengthen the next 24 hours into major hurricane status. I am not updating my path forecast at this time because extra data has been collected this evening that should result in better quality track guidance during the night. Please check in tomorrow morning.